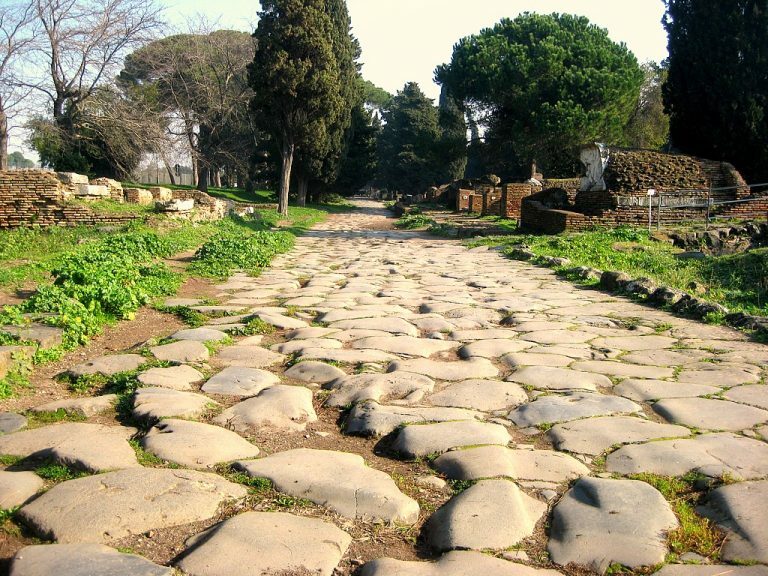 According to the traditional account Ostia was founded by Ancus Martius, the fourth king of Rome. In Latin Ostia meant estuary, a reference to its location at the mouth of the Tiber. At the beginning it was just a castrum, a fortified camp, having the objective of protecting Rome from enemies attempting to attack the city by going up the river. 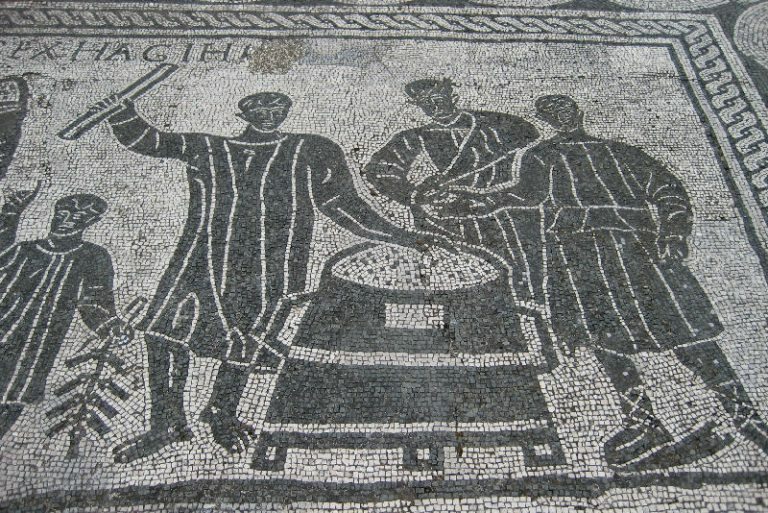 With the growth of Rome, the nature of Ostia changed and it became a commercial and cosmopolitan town where advanced forms of trading were developed. 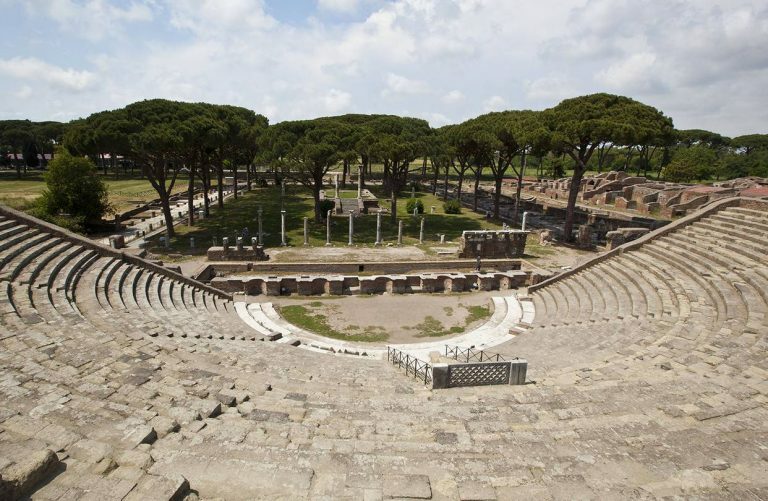 During your tour you can admire The theatre of Ostia which was located in a very central position, along the decumanus, the name given by the Romans to the main street of their castra. The town trading centre was close to the theatre and we can imagine that the merchants ended their working day by attending a performance at the theatre. Most likely they preferred a farce to a drama. 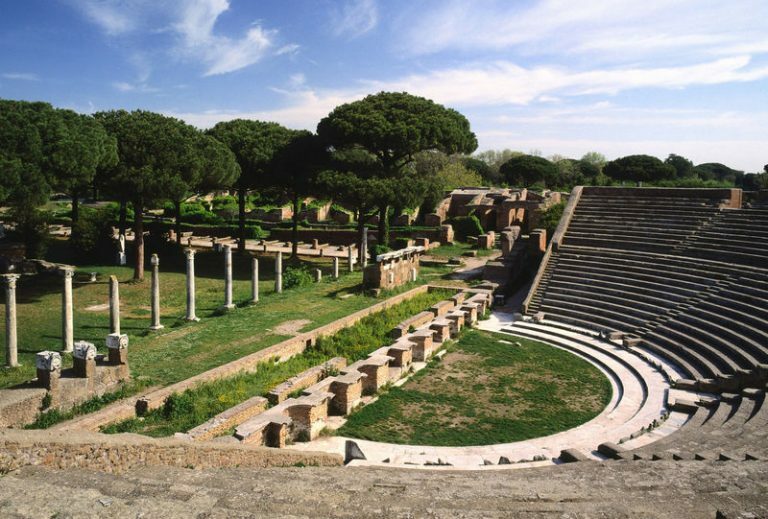 The theatre is still used today and every summer there is a short season based on farces by Plautus and Terentius, two writers who adapted Greek comedies to the Roman society. 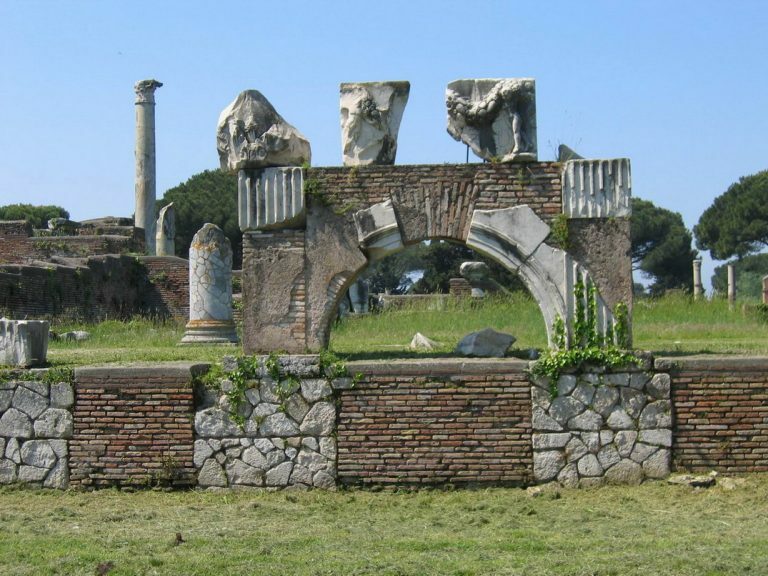 The theatre was built by Agrippa, Augustus’ son-in-law, but it was modified and enlarged by Commodus and Septimius Severus.Ostia had several baths, a sign of its wealth. 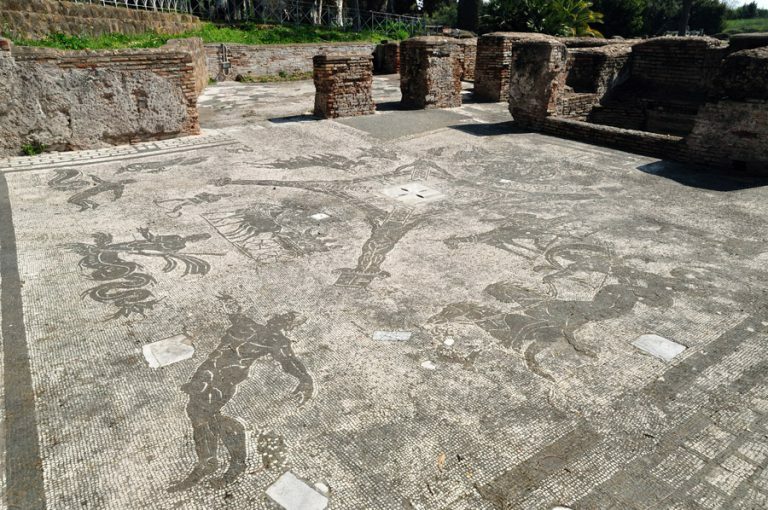 The baths dedicated to Neptune retain large fragments of the mosaics which decorated their halls. They were built over a long period of time but the most interesting mosaics portraying imaginary sea creatures are attributed to the reigns of Hadrian and of his successor Antoninus Pius.The Romans had an elaborate system for managing their towns: they had laws which are regarded as an early approach to town planning, they had magistrates who supervised the orderly activity of markets, the storage of supplies, the celebrations during the festivities and they had firemen in charge of handling emergencies. In a town like Ostia there was a constant risk of flood when strong winds blocked the flow of the Tiber into the sea. The firemen’s barracks were therefore located near the river to closely monitor the events: they were called Vigiles (those who stay awake).The centre of Ostia was the Forum, a large square with porticoes around which the main buildings were located: the Roman Forum was surrounded by hills upon which some of its most imposing temples and palaces stood. 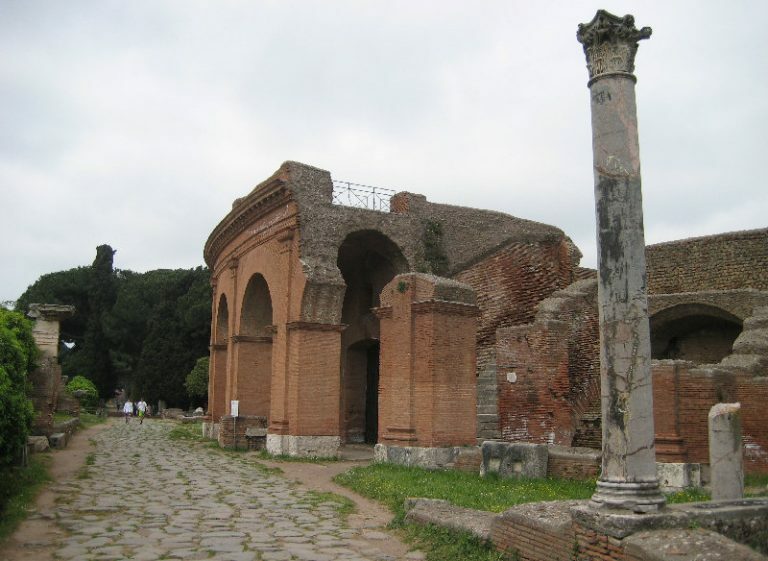 The flat land of Ostia did not provide such a natural pedestal, but Hadrian’s architect who designed the main temple (Capitolium) did not give in and built it on a high artificial podium. 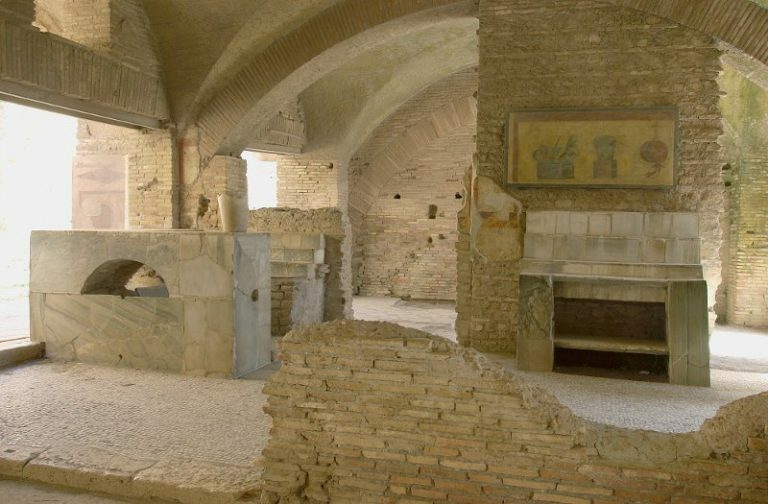 The magistrates, officers and priests who worked in the basilicas and temples of the Forum patronized some large baths facing westwards (so it is thought that they were open in the afternoon). The halls were built on a raised platform, underneath which was the bath heating system.